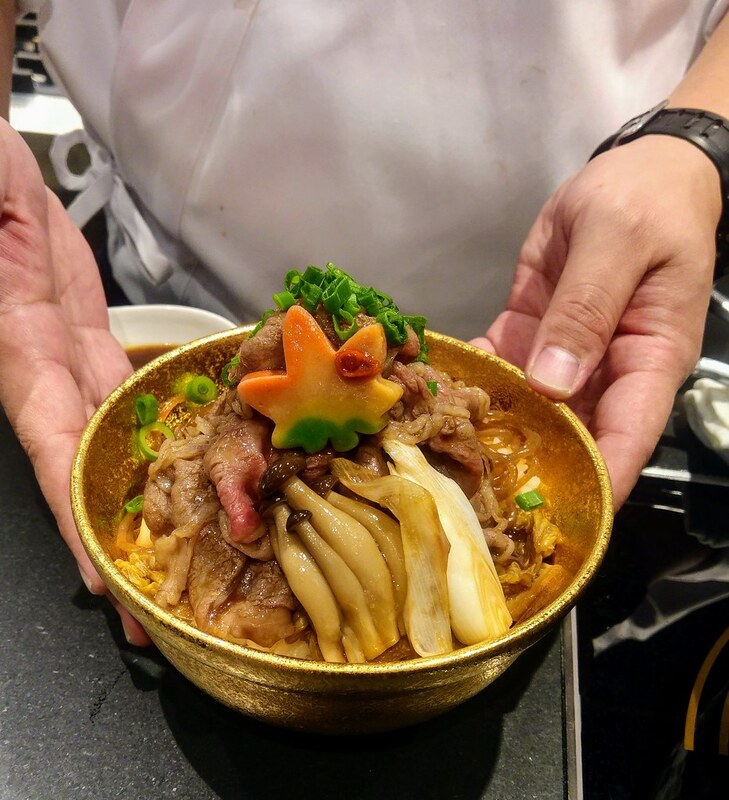 Keisuke Takeda is back to wow you with his latest concept restaurant - Beef Sukiyaki Don Keisuke, located within Onze @ Tanjong Pagar. Seats are extremely limited with a preparation space much bigger than the dining area and you will see why when you drop by for a visit. 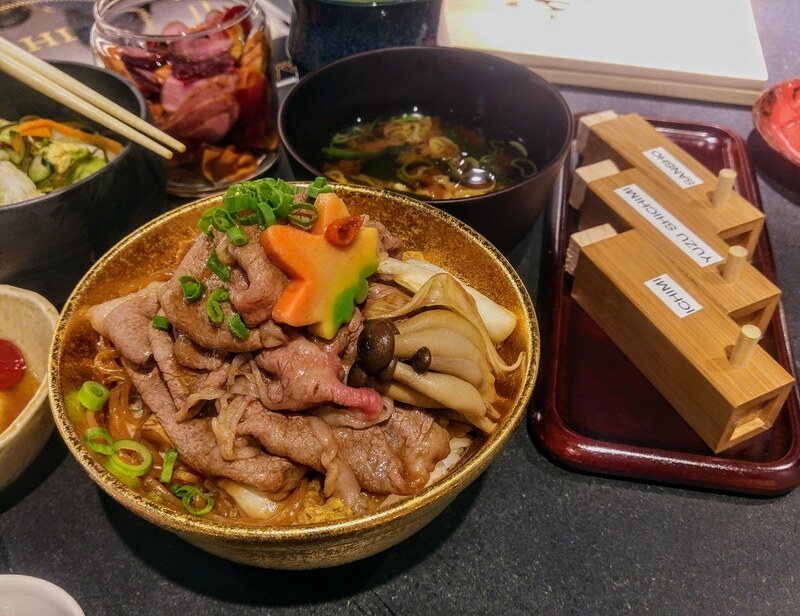 Beef Sukiyaki Don is not a new concept but with Keisuke Takeda, you know it is going to be different. 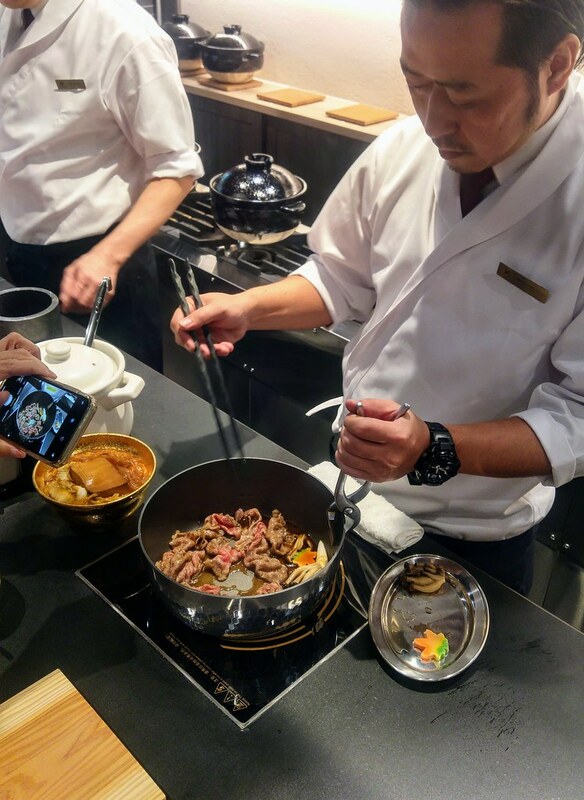 Prepared ala minute right in front of you, it is an experience right from the start, seeing the chef picking up the beautifully marbled beef slices and placing them into the hot pan, hearing the sizzling of the beef. Then comes the sweet, caramelised soy sauce smell mingling with your nostrils. And when the chef gently plates the beef onto the shining bowl which is already topped to the brim with rice, braised tofu, cabbages etc, you just have to clasp your hands together in anticipation and wait. Well, that was what I did. The menu is really simple. 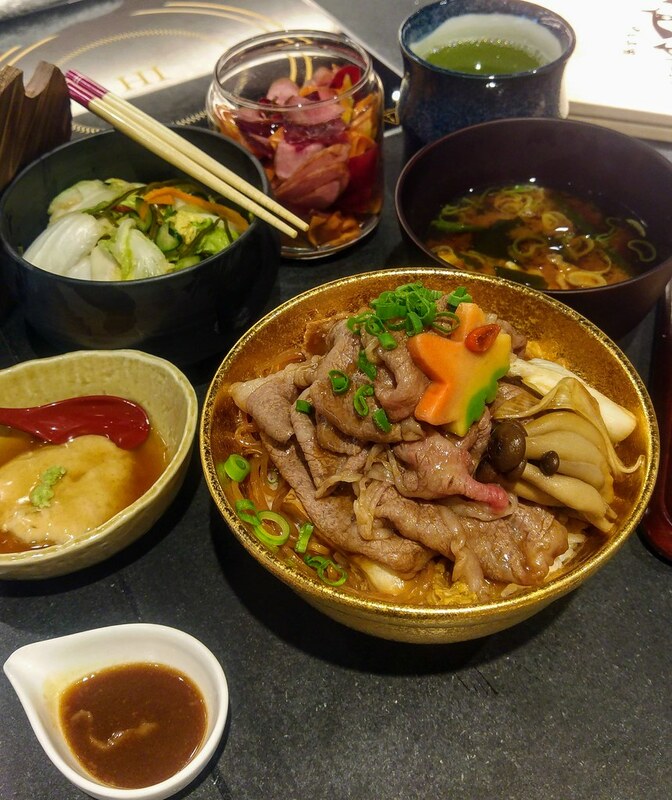 Two choices of meat, either Beef Sukiyaki Don that comes with US Prime Beef ($13.90, add on 120g for $10) or the premium version Kiwami Wagyu Sukiyaki Don featuring Yonezawa Beef A4 ($29.90, add on 120g for $25). Each set comes with a half boiled egg, handmade sesame tofu and a miso soup. Since it is a don, rice is the soul. 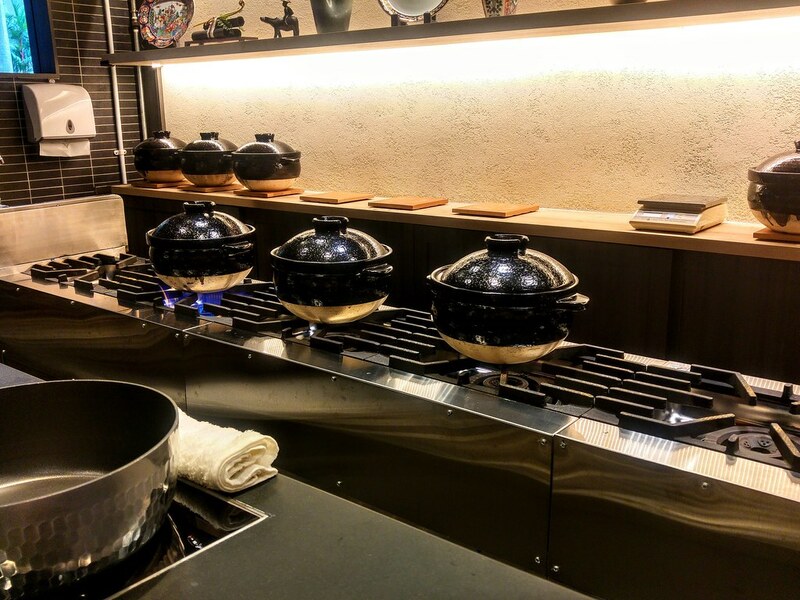 The Koshihikari rice is cooked in a special double layer claypot and almost one third of the the kitchen is dedicated entirely to that. Eating the rice and the sauce alone, itself is a treat. You may top two dollars more for the rice if you wish! Elevate the taste of your Sukiyaki with the condiments on the tables. 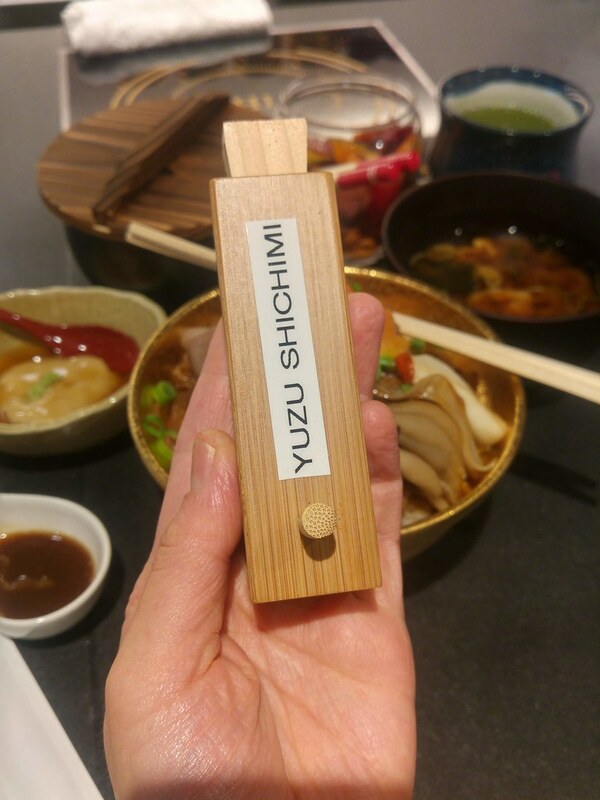 I discovered the beauty of Sansho pepper when I had my first unagi don, and this time round, I found Yuzu Shichimi. I love how it brightens the taste of the sweet and savory beef with its citrusy note and tingle my taste buds with the various spices. Beef Sukiyaki Don Keisuke may seem yet another single dish concept by Keisuke Takeda but inside this small space are layers of elements done right. When some are easily overlooked - from the highly regarded rice, the braised sides, the sesame tofu that intrigues with its umani dashi gravy and mochi texture, down to the free pickles on the table, which impress me with ingredients such as beets and burdock, and their acidity is just perfect on the richness of the beef. I would think it is going to be another long queue again, so be prepared. 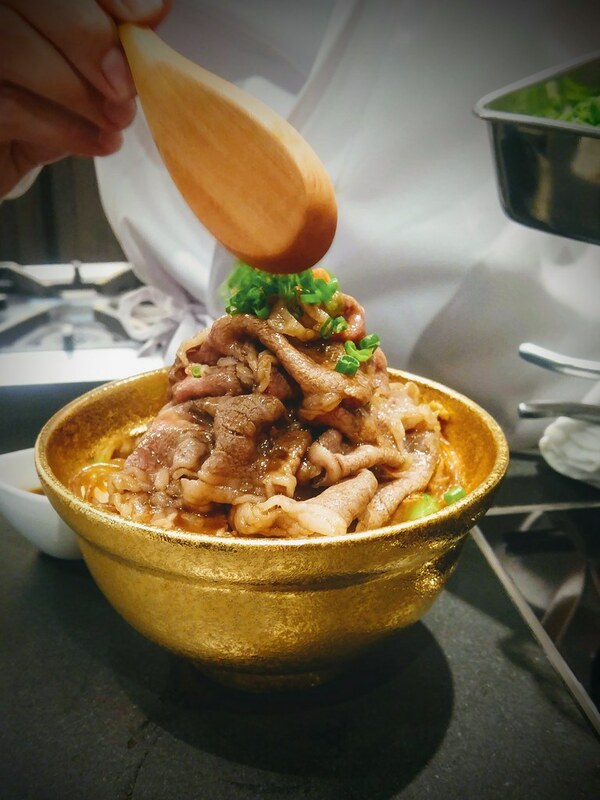 Beef Sukiyaki Don Keisuke will be official open on 24 September 2018.